Petits ‘Cochons’ is really a misnomer. The merguez sausages used to make them are made of lamb, and sometimes, also, beef. 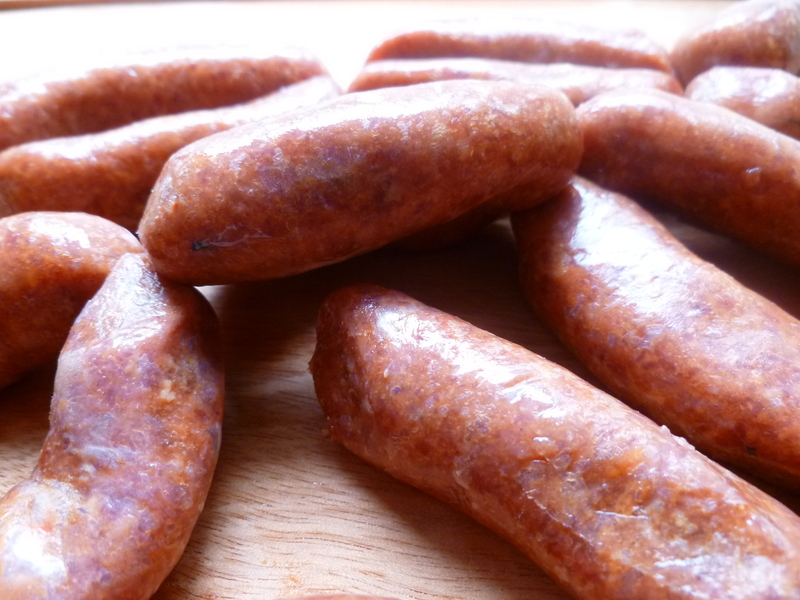 Some versions of merguez are spicier than others, but there is no correlation between their burn and their appearance. Sumac, a spice common to Middle Eastern and some Mediterranean cuisines, gives them their nice, deep reddish color. Nevertheless, Petits Cochon is a friendly sounding name and suits their plump, little form. Petits Cochons do not give you a second chance. A tray of them disappears in a single round at a cocktail party. They make a very satisfactory hors d’oeuvre as well–especially if the main course does not involve meat. 1/2 recipe of dough for Swiss Soft Rolls: Click here for the recipe described in an earlier diplomatickitchen post. about a pound of Merguez Sausages: The ones used for the hors d’oeuvre in the photos are about 3 inches long. A half of one sausage is used for one little sausage roll. 1. Grease the baking sheets. Fry the sausages in a little olive oil. Let them cool. The sausages in the photographs are about 3 inches long. They are cut in half to make the rolls. Make the rolls any size you like. 2. 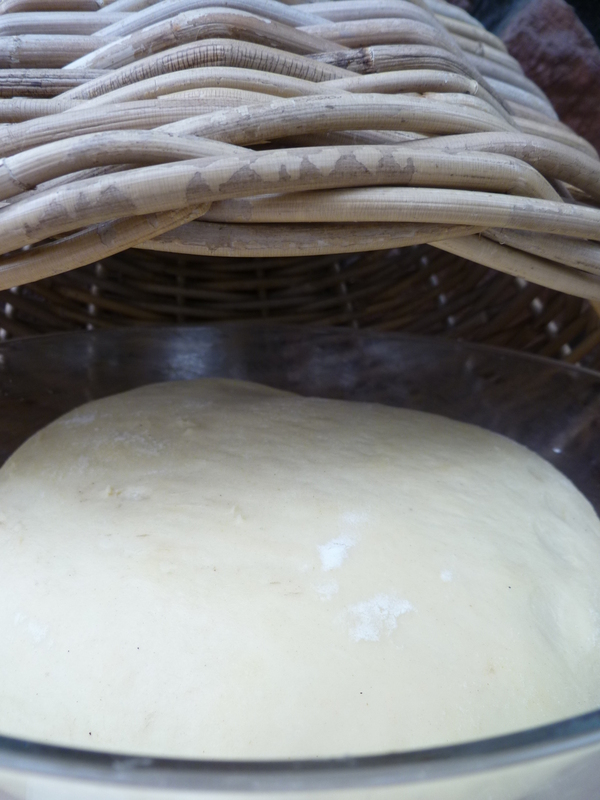 Roll the dough into a rectangle about 1/4-inch thick. Cut the dough into strips, about 2 and 1/2 or 3 inches wide. Cut each strip into triangles. The dimensions are flexible. 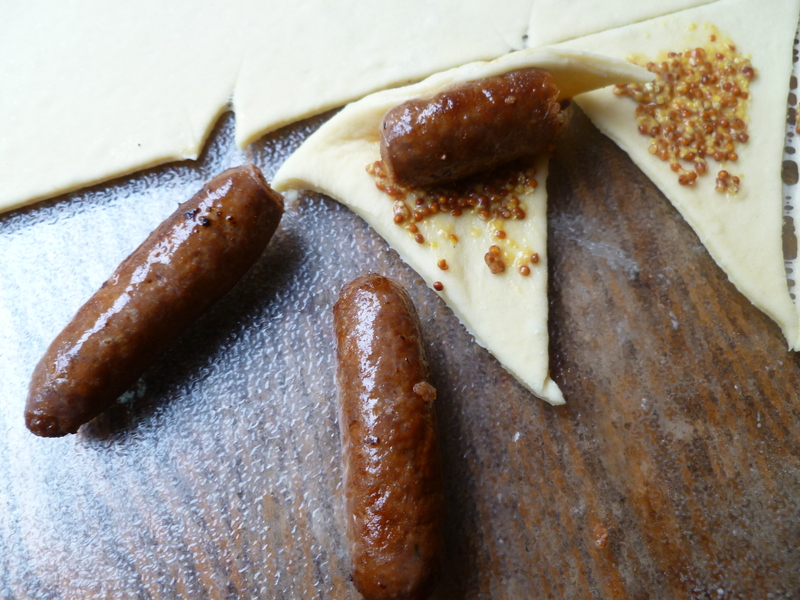 The base of one triangle should be about the length of a piece of sausage. 4. Place the rolls on the greased baking sheets. 2. 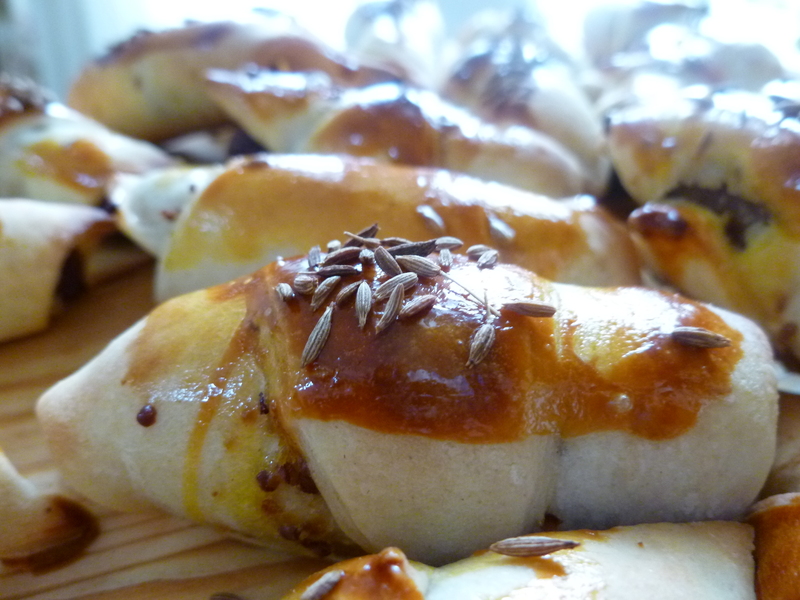 Preheat the oven to 400 F. Brush the rolls with beaten egg yolk and sprinkle them with cumin seeds. Bake them for about 15 -20 minutes–as long as it takes the tops to turn a golden color. 1. Cover the sheets of rolls in plastic wrap without letting them rise and freeze them. 2. About 4 hours before baking the rolls, take them from the freezer to thaw and rise. 3. Preheat the oven to 400 F. Brush the rolls with beaten egg yolk, sprinkle them with cumin seeds, and bake them until their tops are golden–about 15 – 20 minutes. A Note: Petits Cochons are good hot or at room temperature. 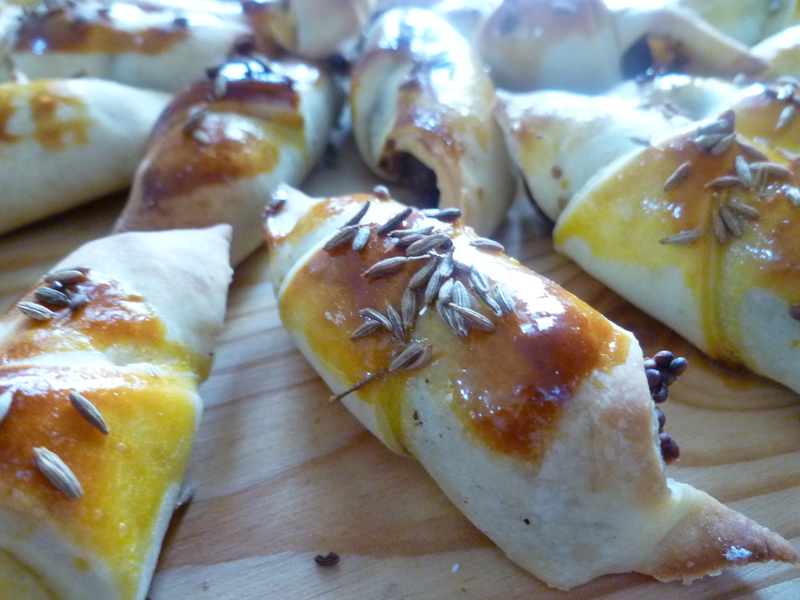 They are one of the hors d’oeuvres in the Dinner Menu: Dinner at Summer’s End.